In Restaurant Lusi, the Mediterranean meets the towering peaks of the Alps. The food is light and contemporary. The name Lusi is Zermatt dialect for a small folding lantern with a warm light that climbers used to take with them into the mountains in former times. This is what the atmosphere in Restaurant Lusi is like: bright and welcoming. 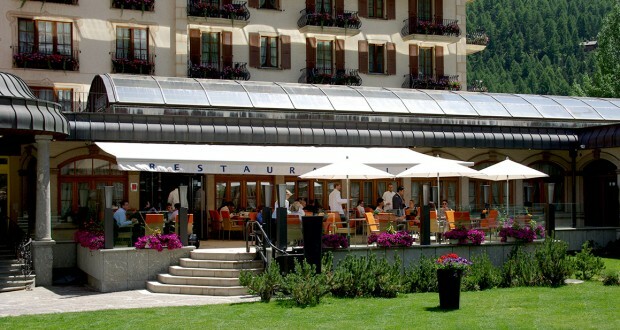 In the daytime, the Matterhorn looks benevolently down at those lunching on the restaurant terrace. In the evening, diners enjoy culinary delights to gentle candlelight. Monday to Sunday: 10 a.m.– 11 p.m.